Package: 100 tabs (25 mg/tab). Oxymetholone Tablets are a very good drug for promoting massive gains in both strength and size. 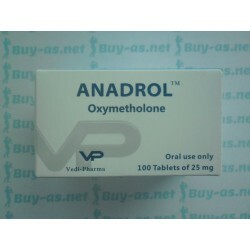 This steroid is very anabolic and will promote an increase in red blood cell count and appetite. The steroid was originally designed as a form of treatment for patients suffering from diseases which cause the body to waste away, such as HIV. A lot of bodybuilders consider this drug to be the strongest oral that there is for sheer mass gain. It is important to note that some of this mass will be from water bloat caused by the steroid. While Oxymetholone is a DHT derived compound and therefore can't convert directly to estrogen, it still is known for many estrogenic related side effects. Some have speculated that Oxymetholone somehow triggers the body's natural estrogen receptors into overdrive. 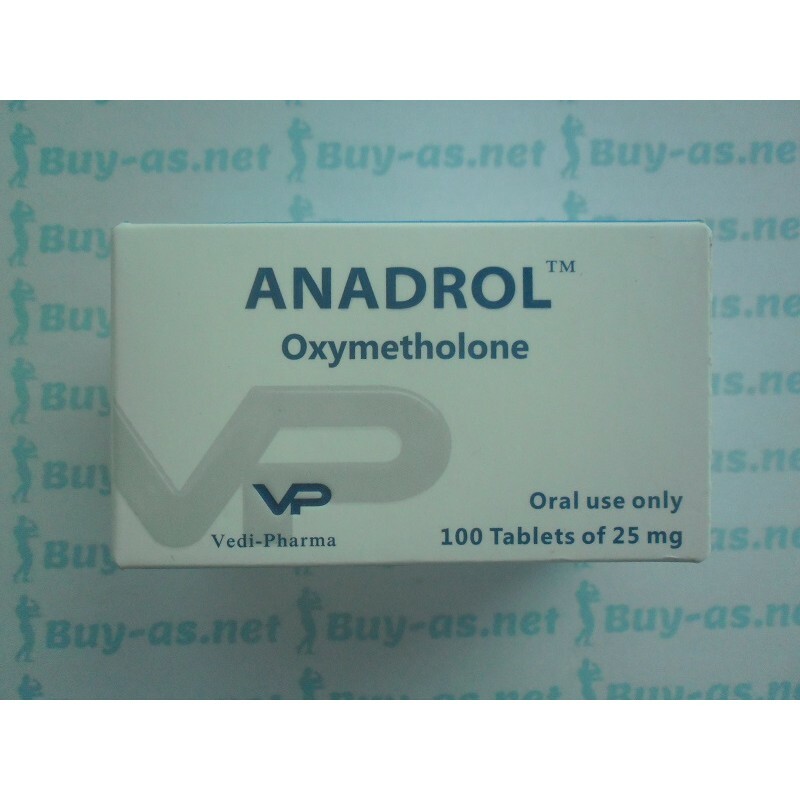 Oxymetholone is a very fast acting steroid and bodybuilders usually begin to notice its effects towards the end of the first week. Because of this, Oxymetholone can make a great kickstart to any bulking cycle. It is important to note that Oxymetholone can be liver toxic if not used responsibly. Bodybuilders are urged to keep cycles of this steroid short, preferably 6 weeks or less, and to keep doses to 100mg or less daily. While Oxymetholone Tablets will increase appetite in proper doses, this drug has been known to decrease appetite, making it difficult to eat, if abused in higher doses. Some users of this steroid also report headaches. Clearly this is a serious substance that should be treated with respect, but if used properly can be a very useful tool in achieving goals. Those looking to cycle with Oxymetholone Tablets will typically use it the first 3-6wks of a cycle that also includes an injectable form of Testosterone. For even more superior mass gains, bodybuilders may choose to add another injectable such as Deca Durabolin or Trenbolone to the cycle. In these cases, mass and strength gains are sure to be nothing less than dramatic. Oxymetholone Tablets will shut down the body's ability to produce testosterone naturally, therefore making a PCT regime crucial upon discontinued use.